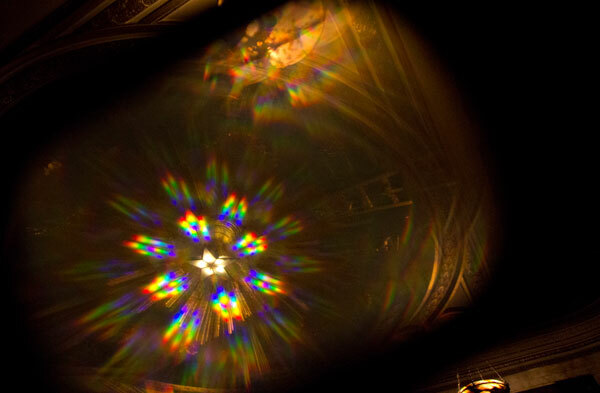 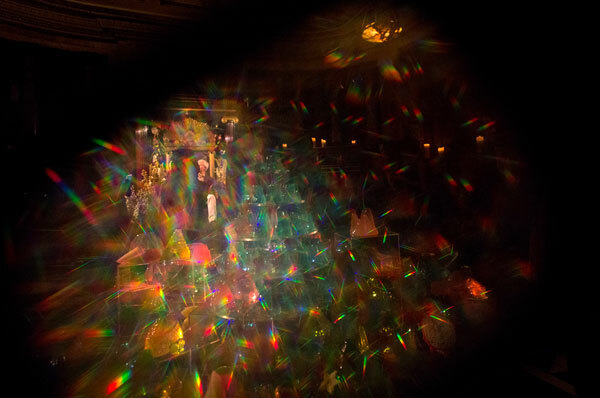 An evening of fruit salad and jelly, taken in through kaleidoscopic glasses and hosted in a masonic temple, within a hotel, in the heart of the City of London. 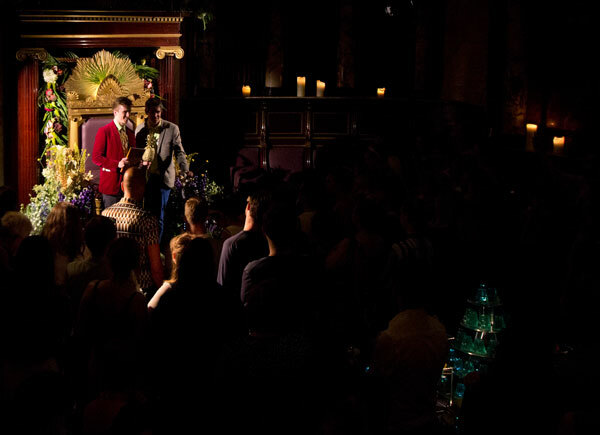 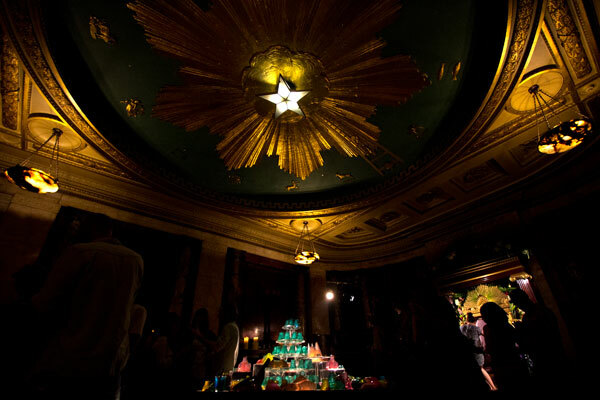 The festivities were all to celebrate the launch of Bompas & Parr’s latest book, Tutti Frutti with Bompas and Parr and friends! 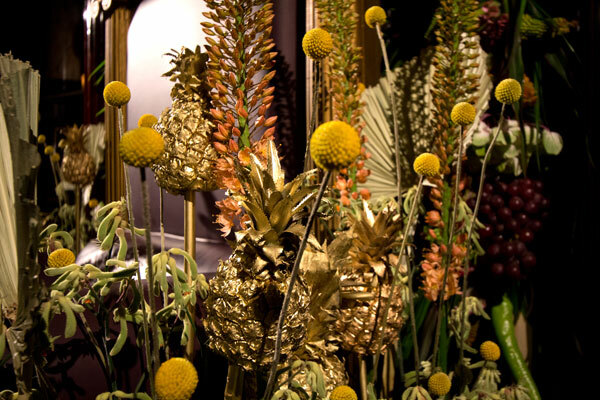 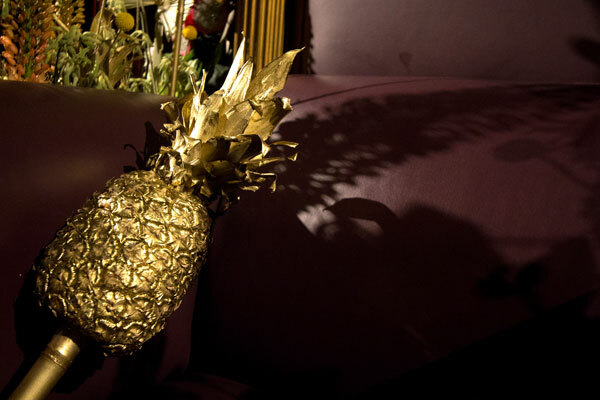 A self-published, collaborative piece, the new book features architectural pineapples, the spaces of banana control, how blue became the international colour for raspberries and a luxurious host of fruity recipes from a host of characters including Sam Jacob of FAT, Alexis Gauthier, Martin Parr, Justin Piers Gellatly of St John, Joana Vasconcelos, Inventory Studio and more. 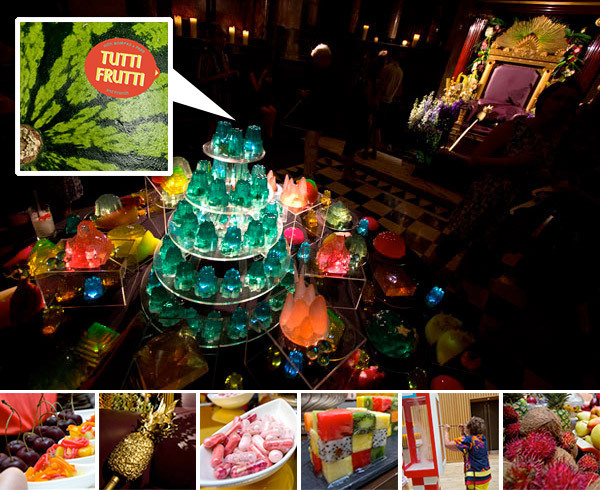 More photos of the celebration of fruit and jelly on the next page! 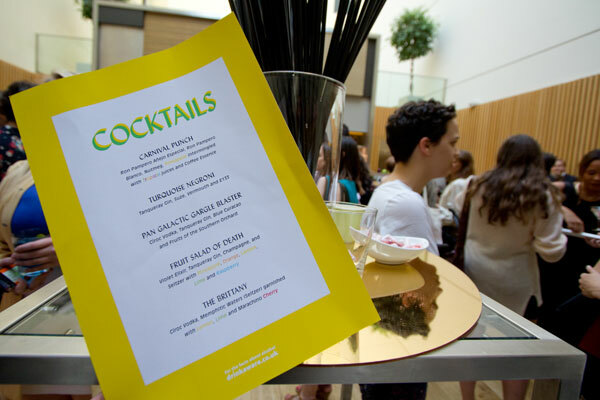 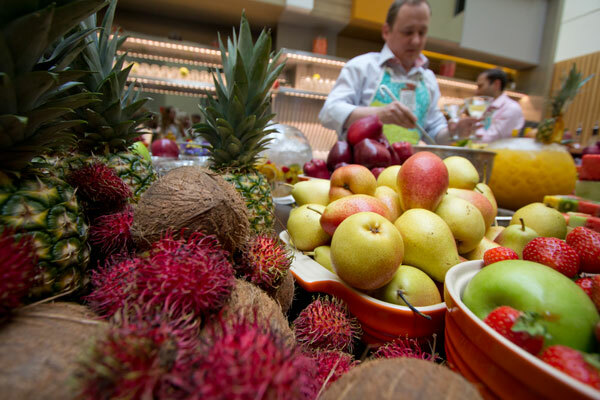 The bar was a celebration of fruit! 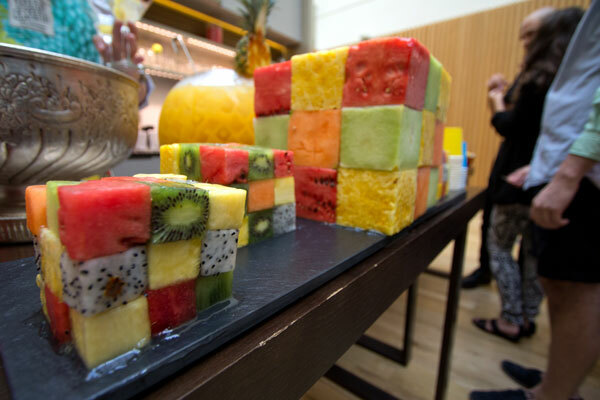 Like Rubik’s Cubes of frozen exotic fruits. 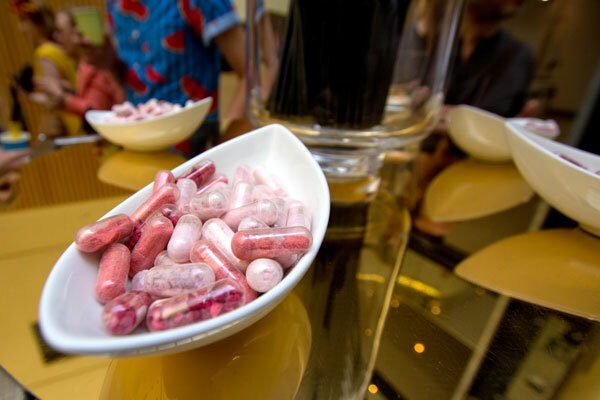 Pills filled with freeze-dried rasberries, sherbert and other fruit-flavored goodies. 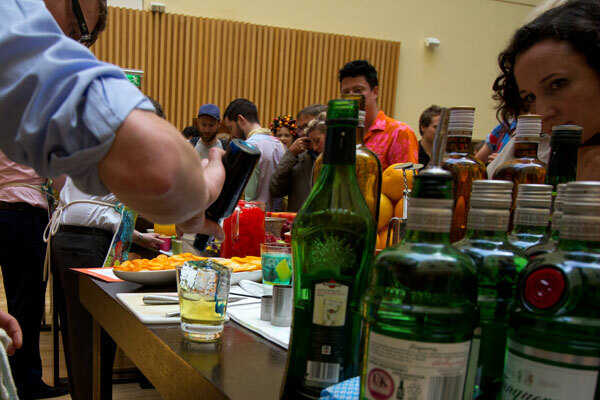 Adding a spot of colorant E133 to the Turquoise Negroni, a punishingly strong mix of Tanqueray Gin, Vermouth and Suze. 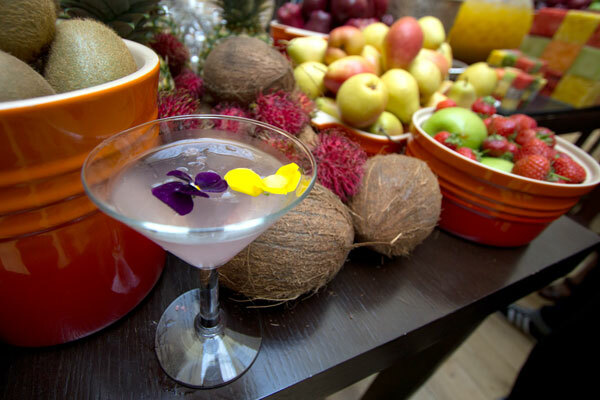 The Fruit Salad of Death combining Violet Elixir, Tanqueray Gin, Champagne and Seltzer with juice of pineapple, orange, lemon, lime and raspberries. 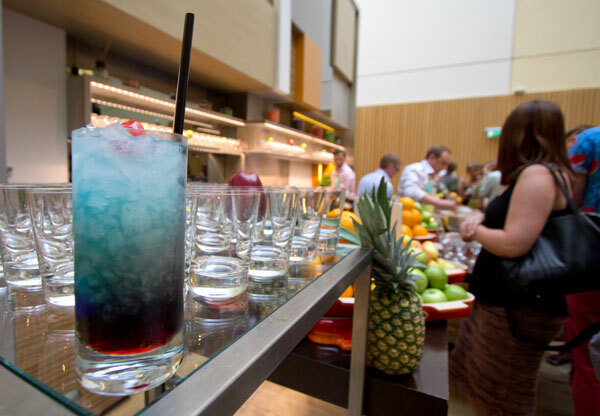 The Pan Galactic Gargle Blaster with Ciroc Vodka, Tanqueray Gin, Blue Curacao and Fruits of the Southern Orchard. 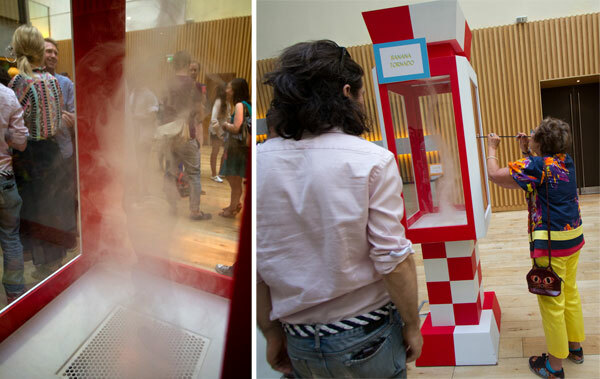 Taking a straw to the “Banana Tornado”, a whirling vortex of banana flavored mist. 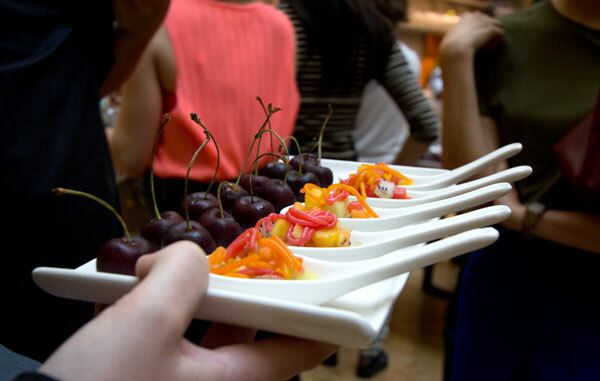 Fruit pasta and chocolate filled cherries. 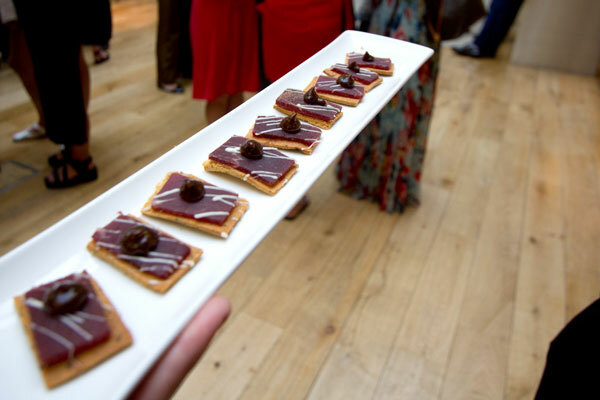 Fruity canapes of fig and salted beef. 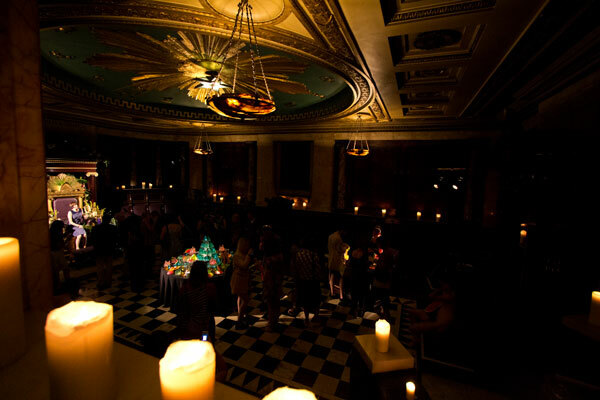 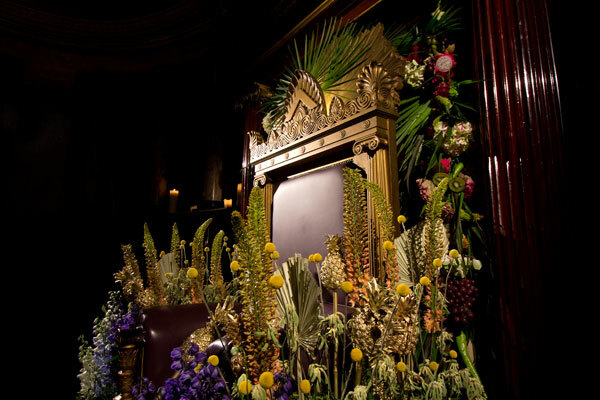 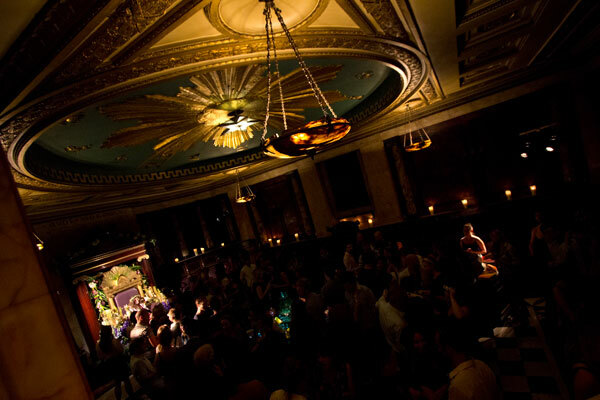 The stunning masonic temple hidden within the Andaz Hotel at London Liverpool Street. 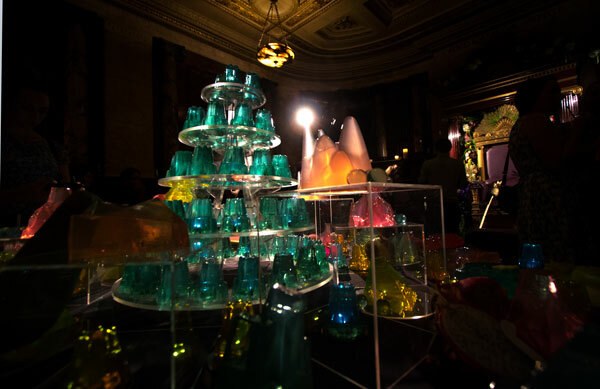 Jellies and a fruity throne made even more dazzling with the addition of the glasses you may remember from the Tutti Frutti Boating Lake at Kew. 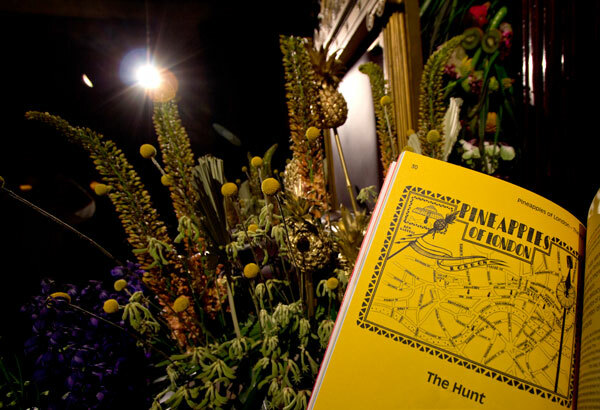 The new book includes more on the pineapples of London’s architecture. 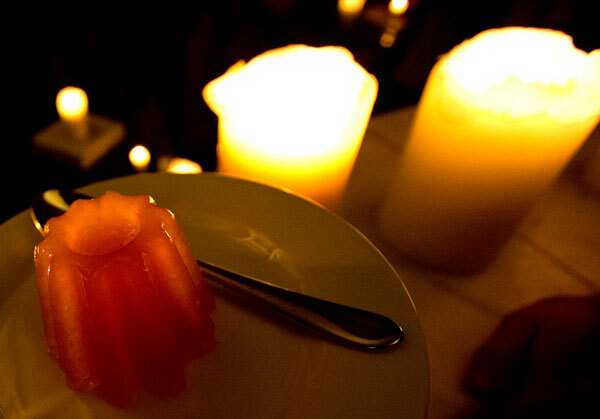 The evening wouldn’t be complete without fruity jelly! 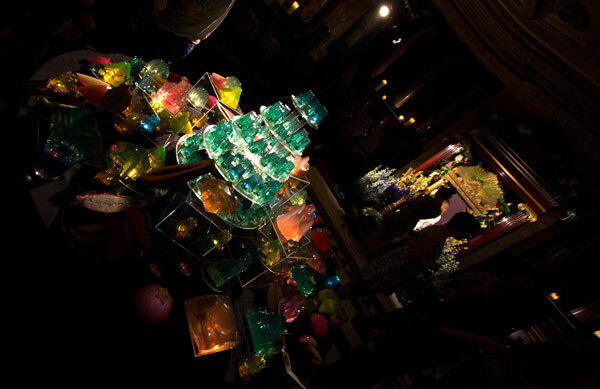 And a good wobble is surely a sign of a good jelly! 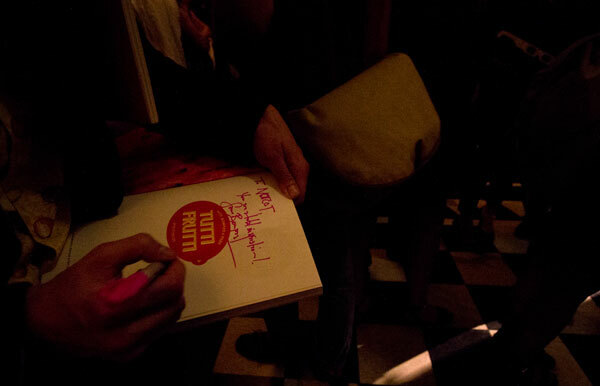 Sam Bompas and Harry Parr thanking all those who contributed and helped make the new book possible.